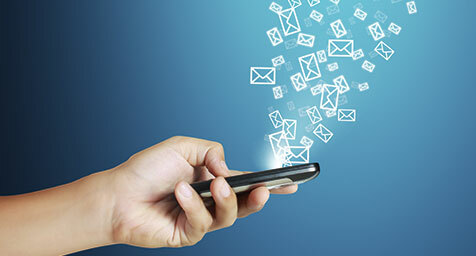 Are Multimedia Text Messages the Future of Mobile Marketing? Multimedia text messages (MMS) are proving to be a powerful tool for mobile marketers thanks to their low cost, ubiquity, and high open rates. A recent piece by Mashable highlighted the fact that a number of major brands have recently run MMS marketing campaigns—texting customers everything from simple coupon offers to lush branded videos. Mashable also noted that the space is heating up for startups, with companies such as Iris Mobile, Vehicle, and Sumo Text focusing on the commercial potential of multimedia text messages. Starbucks ran this campaign that began as a SMS trivia contest, then transitioned into a short video MMS showcasing happy hour offerings. Plus-size women’s clothing store Avenue saw a 6,600% ROI by sending MMS coupons every week to shoppers. Vans created this MMS campaign that allowed people to send video messages for Valentine’s Day. A common theme among all these campaigns is that customers were only sent messages after opting-in—an important best practice for both SMS and MMS marketing. Why the increasing interest in MMS marketing? There are a host of reasons, most important of which are that multimedia messages can be sent to almost any phone and are opened the vast majority of the time (some sources report SMS open rates as high as 97%). They’re also cheap, usually costing no more than a few cents per message to send. Given this low cost and high reach, MMS campaigns should be part of almost every brand’s mobile marketing toolkit. Leverage mobile marketing for your brand. Contact MDG Advertising today at 561-338-7797 or visit mdgadvertising.com.